Tuesday! 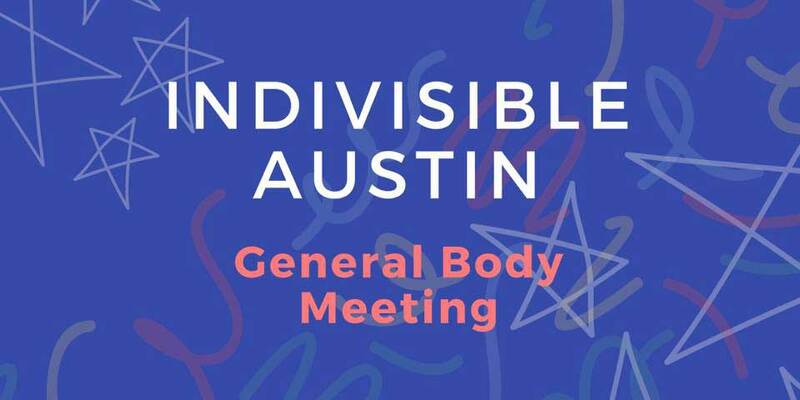 Indivisible Austin General Body Meeting! Sign Up! Tell Cruz and Cornyn: No new wall money. Keep the government open. If Republicans try to back Trump’s demands for wall funding, we will be right back where we started, with another government shutdown on February 16. Tell them to keep the government open and support a conference agreement with no new funding for the wall. We have a “clean” short-term funding bill that funds the government until Feb. 15. It contains no additional money for Trump’s wall or for immigration enforcement. An agreement to go to conference committee, where conferees from both chambers will negotiate a year-long agreement for funding the Department of Homeland Security (DHS). If the conference committee is unable to come to an agreement (i.e., if Trump sabotages the negotiations), then Trump has threatened he will either take us all into another shutdown, or declare a national emergency to pay for his wall. Monday, Feb. 11 is critical. The absolute latest the full text of any proposal can be released publicly is Monday (in order to comply with the House 72-hour rule). So make those calls on Monday! House Dems on the Ways and Means Committee are pushing for the release of Donald’s tax returns. Don’t forget our #txlege-focused general body meeting! House Appropriations Article II (Health and Human Services) on Feb. 11, 8 a.m.
Senate Finance on SB 1 (Education, including special education) on Feb. 11, 10 a.m.
House Appropriation Article II (Early Childhood Intervention) on Feb. 14, 8 a.m.
Did you learn a lot at our Indivisible #TXLege Training in December but still aren’t sure what you can do to get our legislators to listen to us and pass or block bills? Or maybe you just want to learn more about Indivisible Austin and our state legislature. 9 a.m. to 2 p.m. Push for common sense gun legislation in our state. 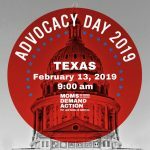 Meet at Central Christian Church at 1110 Guadalupe St. prior to heading to the Capitol. 5:30 p.m. at Congregation Beth Israel, 3901 Shoal Creek Blvd. TX10 Indivisible has requested the presence of Rep. Michael McCaul to join us for a town hall (as well as Mike Siegel) during the February congressional break and we’d like YOU and YOUR FELLOW TX10 FRIENDS to join us! There’s more to Indivisible Austin than fighting what’s happening in DC. We all know that’s important, but you’ve probably noticed that we have work to do here in Texas, much of it in the Capitol, right here in Austin. That’s why our General Body Meeting on Tuesday will focus on how you can make a difference at the legislature. In addition to attending, we need your help to provide all that’s needed for the meeting and all our other activities: training materials, food, spaces to meet and more. Indivisible Austin is here for the work: health care, civil rights, voting rights, protecting democracy locally and nationally. Be there with us. Make a gift.